BRICKFORM Pro-Dye Plus is a translucent dye, designed to penetrate and color any cementitious surface. Pro-Dye Plus dries quickly, reducing installation time and construction costs. In most cases, cleanup and sealing can be done in the same day. It is ideal for polished concrete and it can be to achieve dramatic results. Brickform Pro Dye Plus is designed to penetrate the surface of cured concrete creating a layer of translucent color that dries quickly and will not chip, crack, or peel. The colors produced will be unique with captivating, multicolored intensities that become a permanent part of the concrete. Colors can be combined to create an unlimited number of color variations. When applied properly, Pro Dye Plus intense color has a similar look to the mottling effect of acid stain. Brickform Pro Dye Plus is packaged in liquid form and can be mixed with water or acetone. Brickform Pro-Dye Plus is a fast drying penetrating dye that will not crack, chip, or peel. Creating deep, intense colors, Pro-Dye can be applied with solid, marbled, and stenciled designs. It is ideal for commercial, heavy traffic, and polished floors, (such as bars, concrete counter tops, basements, and showrooms) as well as vertical surfaces. Pro-Dye is also a fine alternative for creating vivid coloration in applications where acid stains have little or no reaction. View the Pro-Dye Plus color card to see the full range of available colors. For best results, use Pro-Dye with a Brickform Premium Sealer. Please note that Pro-Dye Plus is not UV-stable. Even with proper sealing, the color will degrade over time if exposed to UV light. Additionally, Pro-Dye Plus utilizes acetone as a solvent, making it potentially volatile in enclosed areas. For this reason, Pro-Dye is for professional use only. Use our Where to Buy feature to find a Brickform distributor near you. Our distributors can direct you to a qualified contractor in your area. Use the Project Calculator to estimate the product needed for your project. Use Where to Buy to find a BRICKFORM distributor. BRICKFORM shows you how to properly profile a concrete floor for decorative concrete applications. 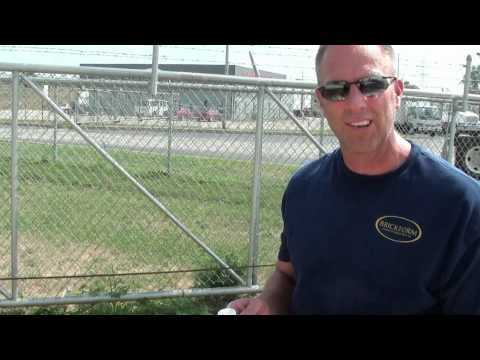 This is the 3rd video of a 4 video series on proper concrete surface preparation for decorative concrete. 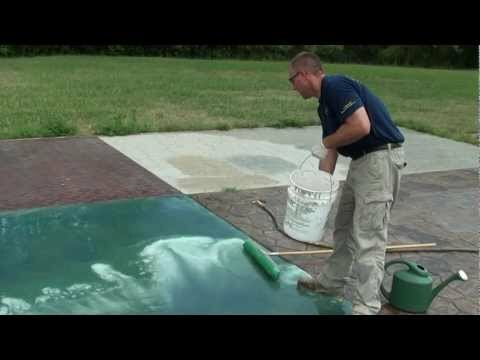 This video shows how to use the BRICKFORM product E-ETCH for cleaning and light etching the concrete surface. BRICKFORM shows you how to properly profile a concrete floor for decorative concrete applications. 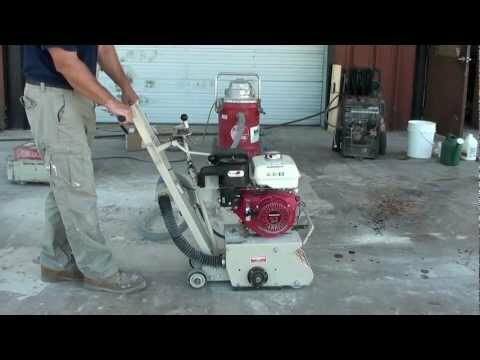 This is the first video of a 4 video series on proper concrete surface preparation for decorative concrete. This overview shows the different types of surface profiling that you need to achieve based on the technical guidelines set up from the International Concrete Repair Institute. BRICKFORM shows you how to properly profile a concrete floor for decorative concrete applications. This is the 2nd video of a 4 video series on proper concrete surface preparation for decorative concrete. 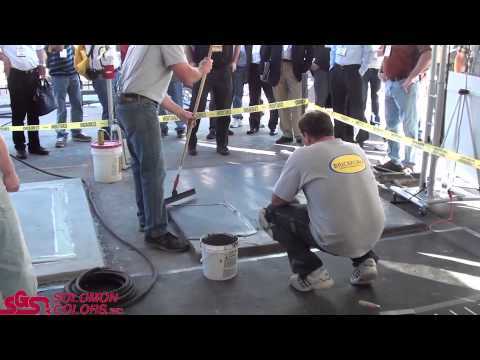 This video shows how to use acid for profiling a concrete surface. 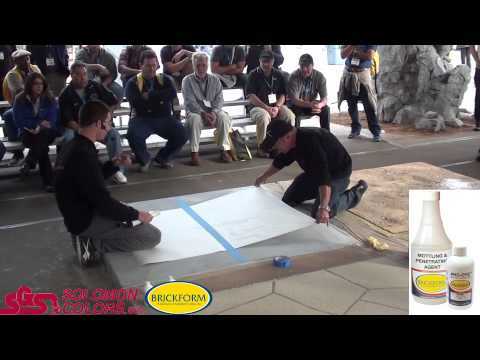 BRICKFORM shows you how to properly profile a concrete floor for decorative concrete applications. This is the 4th video of a 4 video series on proper concrete surface preparation for decorative concrete. 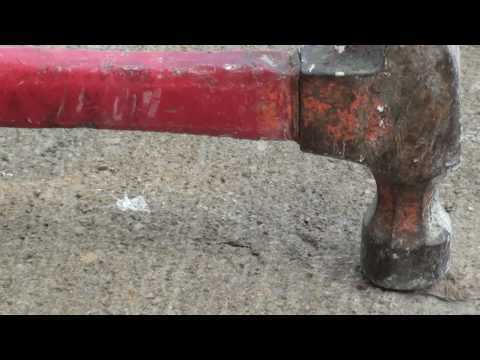 This video goes over mechanical surface profiling for proper concrete surface preparation. Solomon Colors Inc had another great week of product demonstrations and education at the 2013 World of Concrete. Solomon colors had continuing demonstrations throughout the show. We featured our new vertical concrete wall mix and The Color Spreader plus had demonstrations on our concrete overlays, stains, and sealers.